I have a new DVD review for you today! Yes! The X-Men - The Last Stand sleeve image has finally disappeared from this page, to be replaced by the sleeve for the recently-released Optimum disc of Michael Powell's classic 1960 thriller Peeping Tom. Click on the sleeve image, right, or here to read Richard Crowther's review. 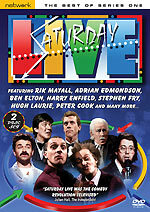 Network has formally announced the release of their Saturday Live - The Best of Series One DVD, confirming that it will be a two-disc set, due on April the 16th. It will contain about four hours' worth of material culled from the 1985 series, including early appearances by Harry Enfield, Stephen Fry and Hugh Laurie, Rik Mayall and Adrian Edmondson, and rare UK sets by Sam Kinison, Louie Anderson and Judy Tenuta. The series will be presented in its original 4:3 full-frame format. Anyone who was expecting that this set would include the show's music acts shouldn't be surprised to discover that they're missing. Getting clearance on music tracks from this era is a rights minefield, and would have added considerable expense to the label's costs. The set has an RRP of £19.99. Note that the sleeve image here is quite different from the draft version that most of the etailers are featuring. Starz Home Entertainment will debut two new feature-length animated films featuring "brand new superheroes for the 21st century", created by Stan 'The Man' Lee, on DVD during May. These are Mosaic (on May the 7th) and The Condor (on May the 21st). The release marks the first time that Stan has authorized a branded product outside of Marvel. (These are from Stan's new Beverly Hills-based company, POW! Entertainment). Mosaic is the story of an aspiring teen actress, Maggie Nelson (voiced by X-Men's Anna Paquin), who gains a chameleon-like ability to shape-shift when "caught between a freak electrical storm, a pet reptile and a mysterious rune stone". Scripted by Scott Lobdell (Uncanny X-Men, Daredevil, Fantastic Four), from an original story by Stan Lee, Mosaic is "a thrilling teen adventure in the tradition of Buffy and Heroes". The Condor, which features the vocal talents of Wilmer Valderrama and Maria Conchita Alonso, is written by Blade creator Marv Wolman. Its hero is Hispanic skateboarding college dropout Tony Valdez, who uses Nanobot technology to recover from a crippling accident. Mosaic will be presented in anamorphic widescreen format, with a choice of Dolby Digital stereo and 5.1 audio. No spec's were given for The Condor. Bonus features on Mosaic include an introduction by Stan Lee; Chameleon Traits (interview with Stan Lee); Architecture Traits (interview with director Roy Smith) and a character gallery. The RRP for Stan Lee Presents Mosaic is £14.99. 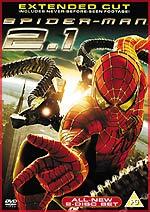 Sony Pictures Home Entertainment will release a revised version of Sam Raimi's Spider-Man 2, titled Spider-Man 2.1 - Extended Cut on DVD on April the 23rd. The two-disc set features an extended version of the film, which is eight minutes longer than the theatrical release (this includes two brand new scenes). The set also features an introduction by producers Grant Curtis and Avi Arad; a commentary track by producer Laura Ziskin and two-time Oscar-winning screenwriter Alvin Sargent; featurettes Inside Spider-Man 2.1 and The Villains of Spider-Man 3;and a sneak peek of Spider-Man 3. Some etailers are listing more features, but these were not mentioned in the press release. VDI Entertainment will release The Hours and Times, a fictionalised account of a four-day 1963 visit to Barcelona by John Lennon and Brian Epstein, on DVD on June the 4th. The film stars David Angus and (repeating his role as Lennon), Backbeat's Ian Hart (who is currently getting rave reviews as a schizophrenic paparazzi photographer in the otherwise-lukewarm American HBO series Dirt). 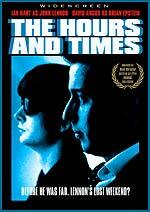 The hour-long movie was nominated for Best Director and the Grand Jury Prize at the 1992 Sundance Film Festival. Twentieth Century Fox Home Entertainment will release the latest - and final - chapter of the Rocky saga, Rocky Balboa, on DVD on May the 21st. 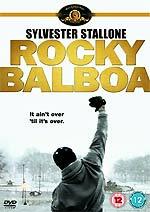 The disc will feature a commentary track by Sylvester Stallone; Skill vs Will - The Making of Rocky Balboa; Reality in the Ring - Filming Rocky's Final Fight; Boxing Bloopers; deleted scenes; and an alternate ending. In addition to the single-disc edition, which has an RRP of £19.99, there will be a seven-disc, limited (numbered) edition Rocky Heavyweight Collection set, featuring the entire series of films. This set, which has an RRP of £59.99, comes with a bonus silk robe. Rocky Balboa will also be released on Blu-ray. Universal Pictures will release another Sylvester Stallone movie, 1981's Paradise Alley, on May the 21st. The film also features Armand Assante and, making his movie debut, Tom Waits. No technical details were announced. The RRP is £9.99. Here are a couple of numbers for you to chew on: Casino Royale had first week sales of 1,622,852 copies, making its launch the most successful in the UK since the format's inception. The Blu-ray edition sold a healthy 9,456 copies in the first week.